So, being 'grown ups' and what not, my friends and I are all pretty busy, some are carving out careers for themselves in the real world, others are training to be doctors, nurses and lawyers and others can't let go of being a uni student (guilty as charged...). But we do try and have a get together every now and then, and today was one of those lovely days! 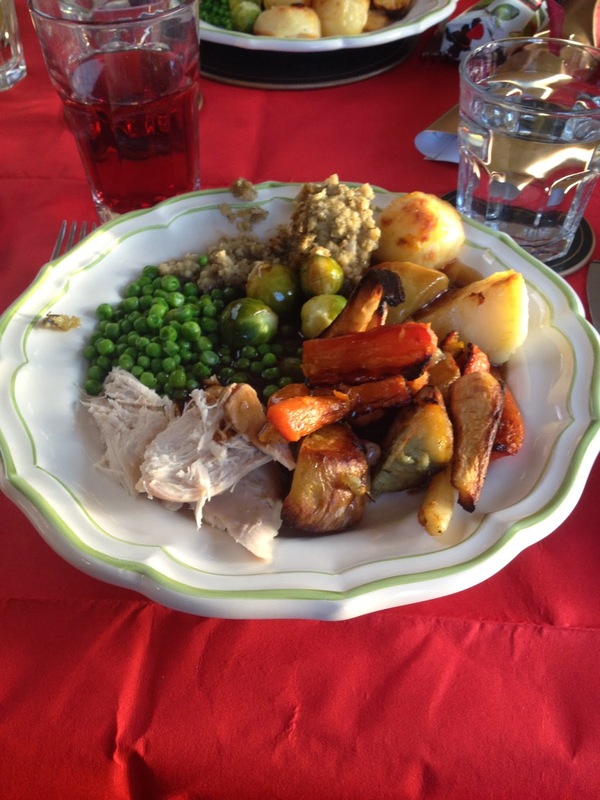 We all hopped it round Mckenna's house and had a delicious Christmas dinner cooked by the hostess herself and Miss Emily-Jane...Nagla and Polly made a last minute gravy stirring contribution. The food came out and Rosie and I realised we were in for a treat; not only had they given us a huge amount of stuffing (win), but we had parsnips AND roasted sweet potatoes, what more could you want? We were perfectly content, and delightfully stuffed...then these arrived along with a Yule log! Then we got presents too! A Secret Santa from Polly will leaving me smelling lovely for a while. So, today I was spoilt rotten with gifts, company and food. 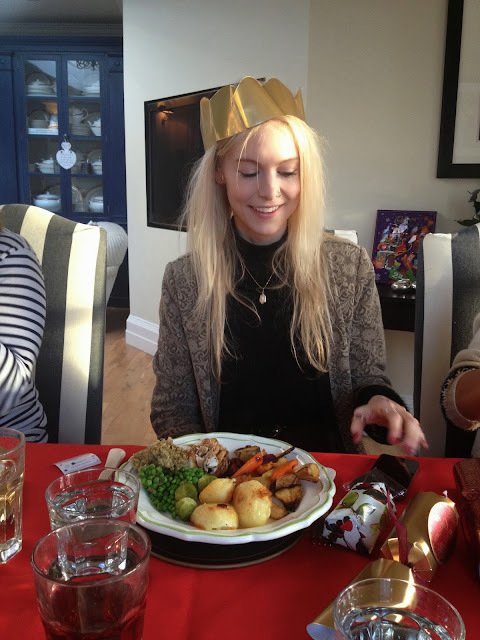 It's made me even more excited for my mother's Christmas Day and Boxing Day lunches, bring on the food babies!